Niagara Falls is home to one of the most beautiful natural wonders of the world so it’s definitely worth the trip to experience the falls for yourself. The city offers a few special ways to experience the falls, and the amazing whirlpool, up close for a truly memorable trip. Hornblower Niagara Cruises: The cruise allows you to get as close as possible to the Falls with an intimate ride through the Niagara Great Gorge. Sail along the water on the Hornblower catamaran as you pass the American Falls, Bridal Veil Falls and into the Horseshoe Falls. Feel the mist from the falls during this mesmerizing and unforgettable experience. Journey Behind the Falls: Stand in the mist behind the Horseshoe Falls as they hit the water below. The view is tremendous as you look 13 storeys above to experience the fresh water tumbling down. The elevator that takes you down is located in the tourist district which means you won’t have to go too far for an exciting view. 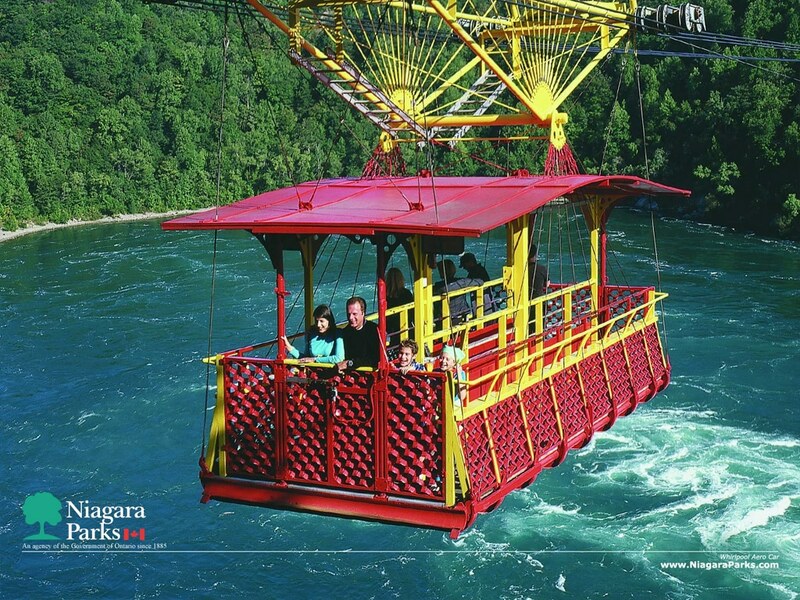 Whirlpool Aero Car: Step inside the antique cable car that soars above the Niagara River and directly above the Niagara Whirlpool. Moving through the air in the cable car gives you a great view of the swirling water below as it rushes from the waterfalls of Niagara Falls into the massive counterclockwise basin finally exiting over the rapids into the Niagara River. 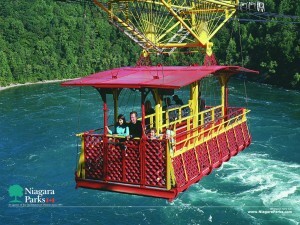 White Water Walk: Take a walk along the boardwalk that is at the edge of the Niagara Great Gorge. The elevator will take you down 70 meters and through a tunnel to the boardwalk. The 305 meter long boardwalk gets you up close to the torrents of whitewater with an opportunity to check out one of the two observation areas at the edge of the river. Perfect for those who love a scenic walk and want to try and stay active during their trip. Choose one of these attractions to get a unique experience with the falls and the whirlpool, two of Niagara Falls most exciting natural features.